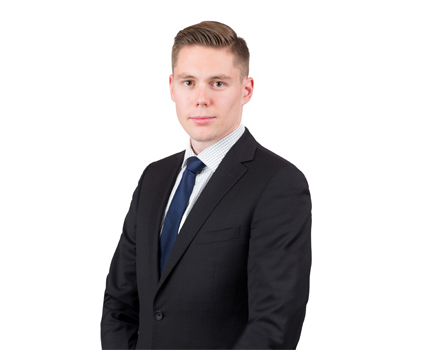 Justin Laverty-Harrigan practises exclusively in our litigation practice group with a focus on insurance and tort litigation as well as general commercial litigation. Justin has appeared before all levels of court in Alberta. His experience includes a wide range of files including defending property damage, personal injury claims, and commercial disputes. Within his insurance practice, clients often rely on Justin’s expertise on providing insurance coverage and liability opinions. While in law school, Justin was a member of the Editorial Board of the Alberta Law Review. Prior to joining Duncan Craig LLP, Justin completed a clerkship at the Court of Queen's Bench of Alberta. He has co-authored a number of papers for presentations for the Legal Education Society of Alberta.